Over the past few months, online day trading has become very popular and common among expert investors or even those looking to make some quick money. 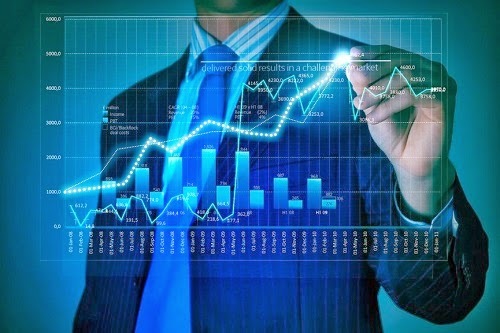 The reason behind this popularity is that literally anyone can become their own online money manager, while the ease and convenience that an online trading platform, such as Trader Pro or MT4, provides to even beginner level investors, is also an attractive feature. After all, the only thing that is required when it comes to online trading is to have some spare cash and the desire to invest that amount. This being said, the world of online trading is not free from some disadvantages, even though the process is fairly simple and open for everyone. This is why, before trying your hand at online day trading using any platform, it’s important to know the good points as well as the bad ones, related to online trading. * For first time users of any trading platform, it’s very easy to forget that they are using real money and not just tinkering with the technology involved. * Some trading platforms don’t provide a support center to online trading account holders, which means investors are left to make their own choices. * Beginners in particular, can make mistakes that can cost dearly, if they don’t know the ins and outs of a particular trading platform. * An increased ability to manage stock portfolios. * When it comes to the type of transaction chosen to be conducted, you will have far more control and flexibility in the matter. * The commission costs for trading while using online platforms are significantly less as compared to the services of professional brokers. * Online trading platforms and programs offer investors a wide range of tools and additional services that can prove to be really helpful. * Investors can trade using the platforms and programs 24/7. * All you need to manage your investments is a device with an internet connection and you are all set to go. Many popular online trading brokerages provide free access to research reports of the highest quality to their clients, created by none other than the best financial players in the market, i.e. the Standard and Poor, as well as other predominate ones. * Trading using online platforms such as Trader Pro, Binary Options, or the MT4 has been made easy and convenient for investors, whether they are in the beginning stages or have been in this business for years. This doesn’t mean that you, as an investor, shouldn’t do some research and planning before diving into this world. This will only give you an additional advantage when it comes to trading using online platforms and programs.